Polymerous is an adjective used to designate a daylily with more than the normal number of segments in each floral whorl, i.e., more than the normal three sepals (usually four or five) in the outer whorl and more than three petals (usually the same number as sepals) in the inner whorl. 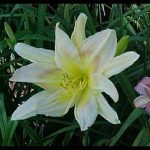 Polymerous daylilies have the extra sepals and petals evenly spaced in their respective whorls, unlike double daylilies in which the extra petals or petaloid stamens are stacked upon or lie above the ordinary petals. 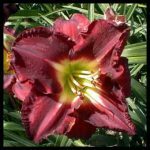 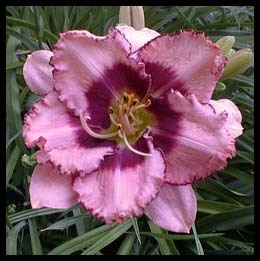 Moreover, polymerous daylilies have extra stamens; eight if there are four petals or ten for five petals, rather than the usual six. 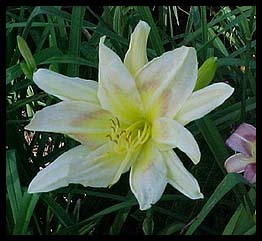 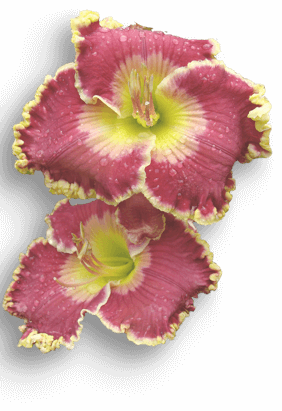 Most polymerous daylilies have the same number of carpels in the pistil (and therefore the capsule) as there are petals. See also: floral whorl, sepal, petal, double, petaloid, stamen, carpel, pistil, capsule, segments. 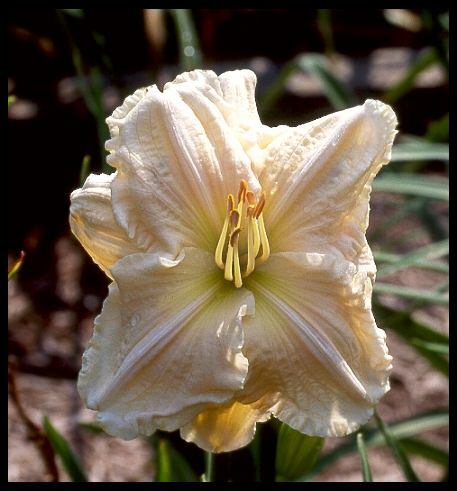 In order to conform to current botanical usage, AHS has adopted this term in place of “polytepalous” and “polytepal”.